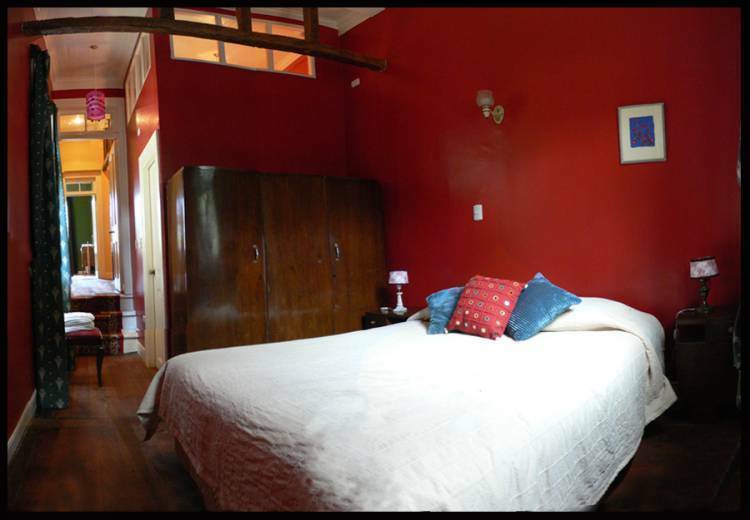 Allegretto Bed & Breakfast was opened in 2004 in a pair of neighbouring hundred-year-old houses in the Cerro Alegre district of Valparaiso. Cerro Alegre, or "pleasant hill" in English, is the area of the city where British and the German immigrants built their houses in the 19th century, and they did so on a grand scale. Many of the houses have very large rooms and the ceilings in Allegretto, for example, are four metres high. Today Cerro Alegre, together with neighbouring Cerro Concepcion, is the area of the city most popular with visitors due to its pretty streets, the high standard of its hotels and restaurants, and the views it offers across the city. Allegretto is perfectly-located in a quiet residential road, literally round the corner from bars and restaurants. We are also a five-minute walk from the funicular railway that connects the hill with the city's business district where there are banks, a supermarket and a change bureau. 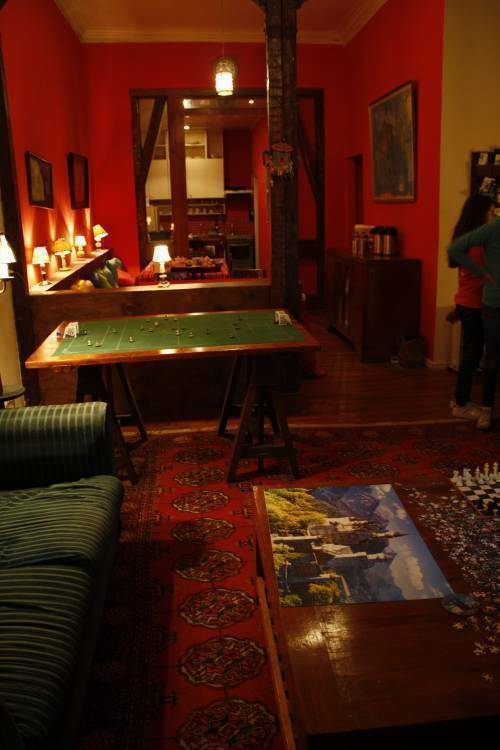 The hotel has seven rooms and the owner, a Londoner, lives in the premises with family. 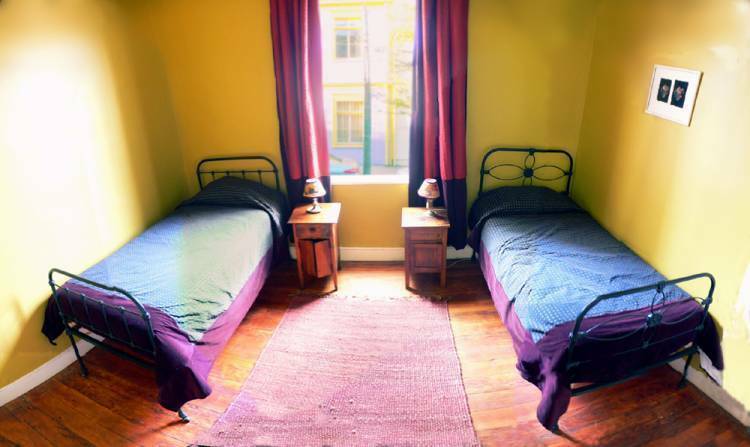 Allegretto has seven bedrooms in total, including double, twin, shared and family rooms. Most have their own ensuite private bathroom and some have access to either of two terraces. 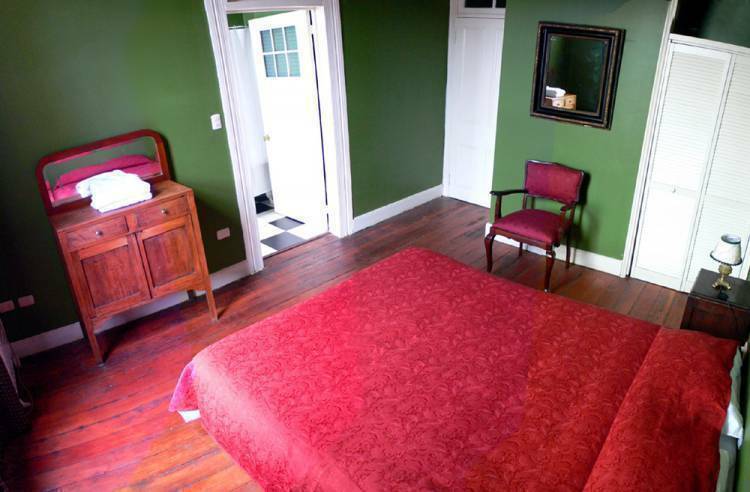 The deluxe rooms have the houses’ original bathrooms ensuite with large, cast-iron original bathtubs, and one has a huge antique, king-sized double bed. In our sitting room we have a piano, a 1960 vinyl jukebox stuffed with classic rock and pop singles, a subbuteo table football game, and there is always a jigsaw on the go on the big table in front of the fire. There is a spacious dining area, a communal kitchen and free wifi. On the front terrace we have a barbeque area that guests can use and benches to enjoy the sun in the morning. We have a communal kitchen and a dining area, plus a large spacious living room equipped with a piano, a subbuteo table football game and a 1960 vinyl jukebox stuffed with rock and pop classics. At the front there is a small garden where guests can sit in the morning sun, or use the barbeque in the evening. Our rooms are attractively decorated with hand made bed spreads, and furnished with antiques. 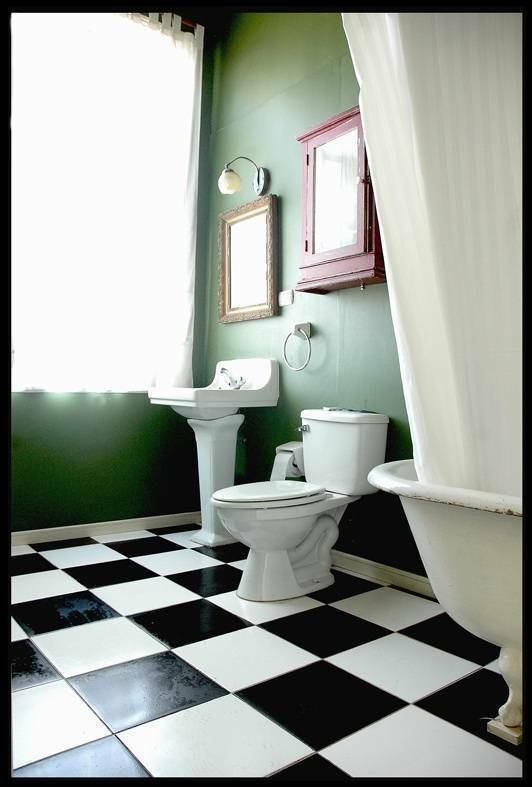 Almost all our rooms have ensuite bathrooms. The house was built around one hundred years ago and many of the original features have been retained. We are in a residential street in the residential sector of Valparaiso most popular with visitors for its large houses, pretty streets and views over the bay. The house is around one hundred years old and built in opulent style with ceilings almost four metres high. We are just round the corner from bars and restaurants and within easy reach of the centre of town with its banks and supermarkets. A bar restaurant located in one of the most beautiful parts of the magnificent port of Valparaiso. 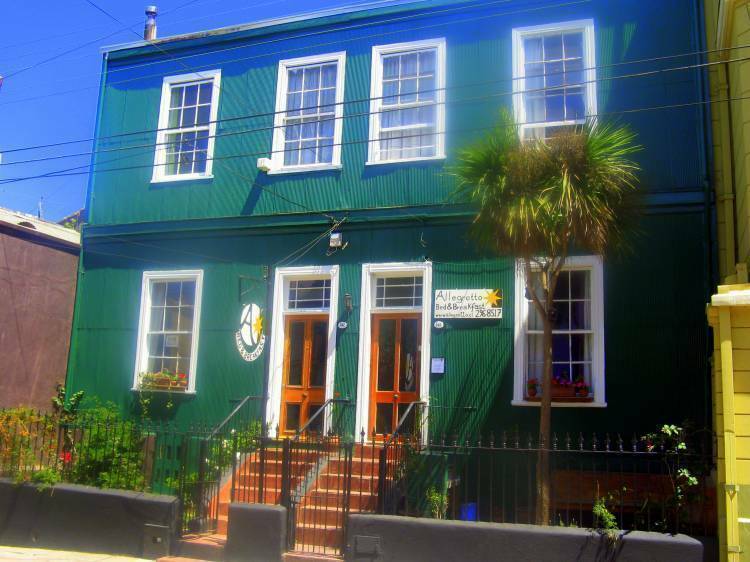 Facing the Anglican Church, in the quiet area of ​​Cerro Concepción, Allegretto is a great place to stop for a drink or something to eat. In the event of a no-show or cancellation within 24 hours of check-in, we charge the first night's stay. There are various transport options. We are 90 minutes from Santiago by road, fifteen minutes from the Puerto station on the Metro train from Vina del Mar, and two minutes walk of the Reina Victora funicular railway.